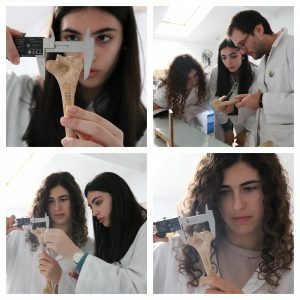 As usual, CIAS worked with the Instituto de Educação e Cidadania (IEC), Mamarrosa, Aveiro, to received two students for the scientific internships during the first week of the Easter holidays. 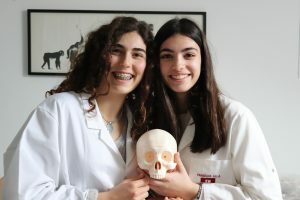 Bárbara Gorgulho and Maria Alexandra Sousa experienced three days (8th to 10th April) of work in three different (but connected) areas of Biological Anthropology. 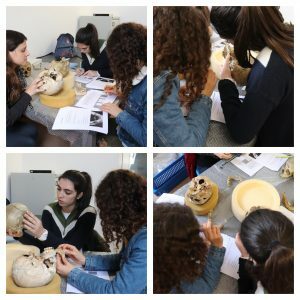 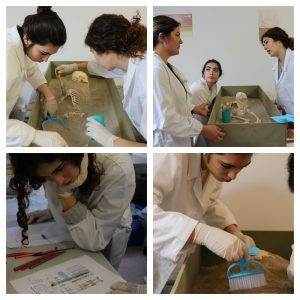 Liliana Carvalho, Francisco Curate and Linda Melo coordinated the activities regarding dental morphology and pathology, constructing a biological profile, and excavations of “skeletal remains”.